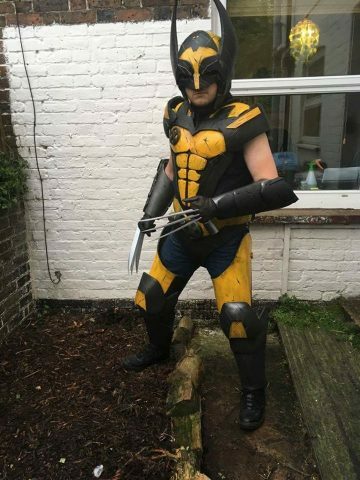 Wolverine Costume Made from Foam, No Adamantium Needed « Adafruit Industries – Makers, hackers, artists, designers and engineers! Cosplayer XC Fett, a.k.a. 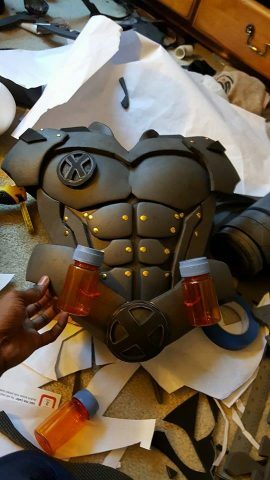 Charles Conley, has made a number of costumes for himself, and he takes commissions for other cosplayers through Ebony Warrior Studios. His work came to my attention via Epbot, and while flipping through his portfolio, I couldn’t help but notice the high quality work he does with foam. 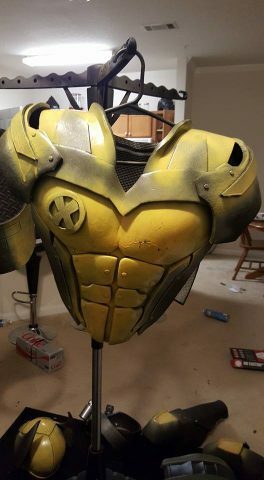 One of his recent commissions was sculpted Wolverine armor — his client shared a picture of it all together above. You can see the beginning stages of the armor in the below pictures. The foam was cut and shaped carefully before a few layers of painting. View more of the Wolverine build at Facebook.